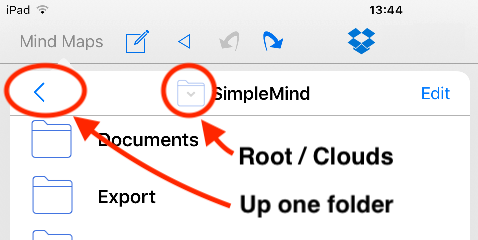 Explorers have improved folder navigation. Topic toolbar: Long press paste button for paste options Paste as Central Theme and Paste Text as List. Delete command on Relation toolbar. Removed options for shadow support in mind maps. Bug fixed: local voice memo stored on Nextcloud or Nutstore would not play back. Bug fix for Nextcloud servers that have path at the end of the server url. 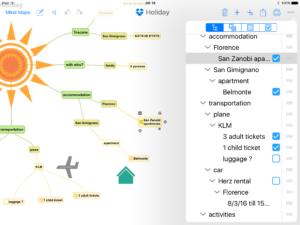 Swiping left in Local Mind Maps view shows “More” button in addition to the existing “Delete” button. Bug fixed: the mind map editor toolbar would not contain all buttons on recent iOS 11 updates and iPad. drop an image on a topic to add a floating image, an embedded image or an icon. drop an URL (web address) on a topic to link the topic to the URL. Super script and sub script markdown support ^^super^^ ,,sub,,. iPad: Typography keyboard toolbar for topics and labels. Buttons with bold, italic etc. Eraser button removes all markdown markup from text. For topics: “A” toggles toolbar between typography and tools. iPhone: bold, italic and underline added to inplace editor context menu. Outliner shows dates and has a filter to show only topics with a date set. 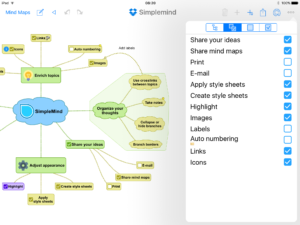 On iPad the outliner is now embedded in the mind map editor. Bug fixed for white text on black which appeared as black on black in some cases. Print Outline. Similar options as export. The font used in Print / Open Outline is adjustable in Preferences | Fonts. Outline moved from Topic toolbar to Tools menu. Rectangular lasso selection: long press in empty space to start lasso selection, then drag to select. This release fixes problems with Dropbox synchronization introduced by iOS 10.3. As a result of iOS 10.3’s problems with file names, multiple versions of a mind map could exist on your iPad/iPhone. Some of which may not have been synced with Dropbox. 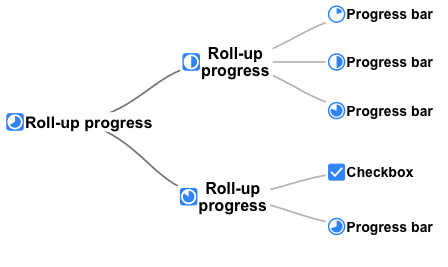 To avoid loosing data, this bug fix update creates for each potentially problematic file a new mind map on Dropbox. For these restored mind maps the text “(Unicode Fixed)” is appended to the file name. Please, review these mind maps and any original or “other” version. Note that the thumbnail shown may be different from the actual map content. This release fixes a problem with Google Drive authentication introduced by iOS 10.3. As a result of changes to how iOS 10.3 handles the showing of views, the presentation of a login screen for Google Drive would fail. We’ve created a workaround where we prevent any view animating while we ask Google Sign-in to present the login screen. 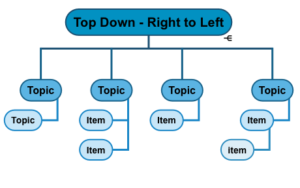 Use drag and drop to rearrange the topic order in auto layout. 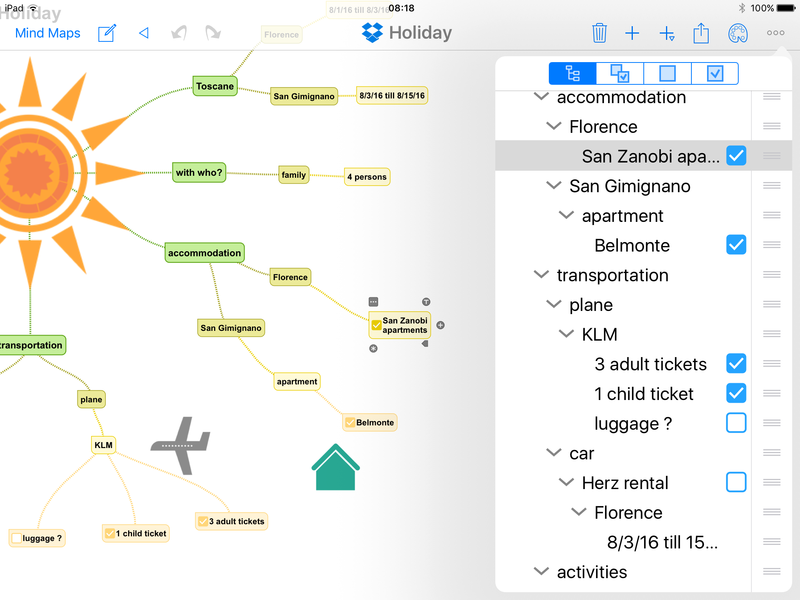 Choose the default Layout Mode for new Mind Maps in Global Style Options. Several bugs fixed in Dropbox integration.